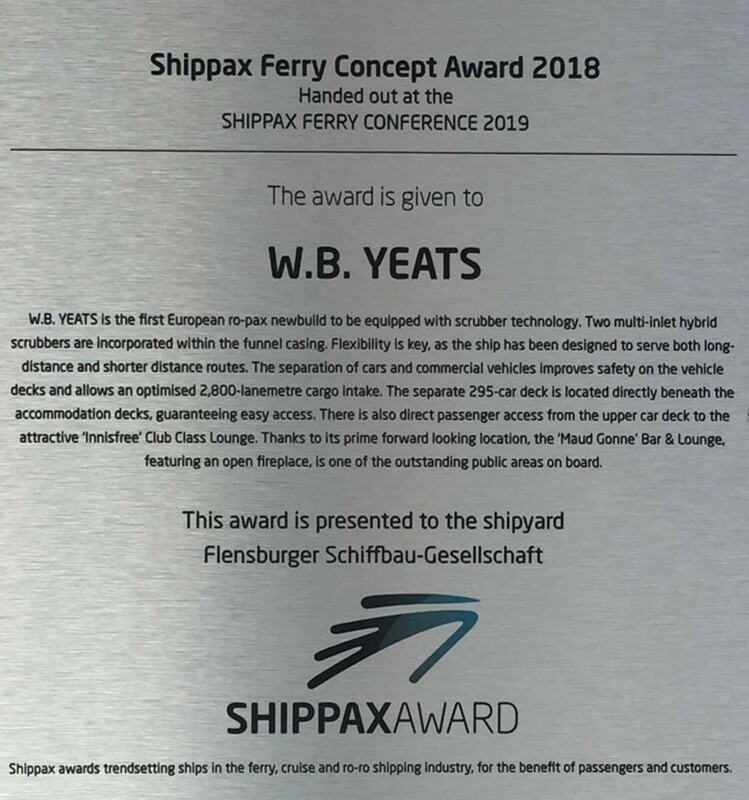 Flensburg, 15.03.2019; FSG is pleased to have received the prestigious ShipPax Ferry Concept Award for its groundbreaking RoPax ferry “W.B. Yeats”. The “W.B. Yeats”, FSG’s new building no. 771, was delivered to Irish Continental Group (ICG) in December 2018. The award was received during a ceremony at the SHIPPAX FERRY CONFERENCE 2019, which took place between 12 and 14. March 2019 onboard Tallink Grupp’s vessel “Silja Serenade”; another innovative RoPax vessel that currently operates between Stockholm, Sweden and Helsinki, Finland. During the award ceremony, André Powilleit, Head of Sales & Design at FSG, presented the design of the “W.B. Yeats” to the attendees and the shipping industry.